Fig. 1. 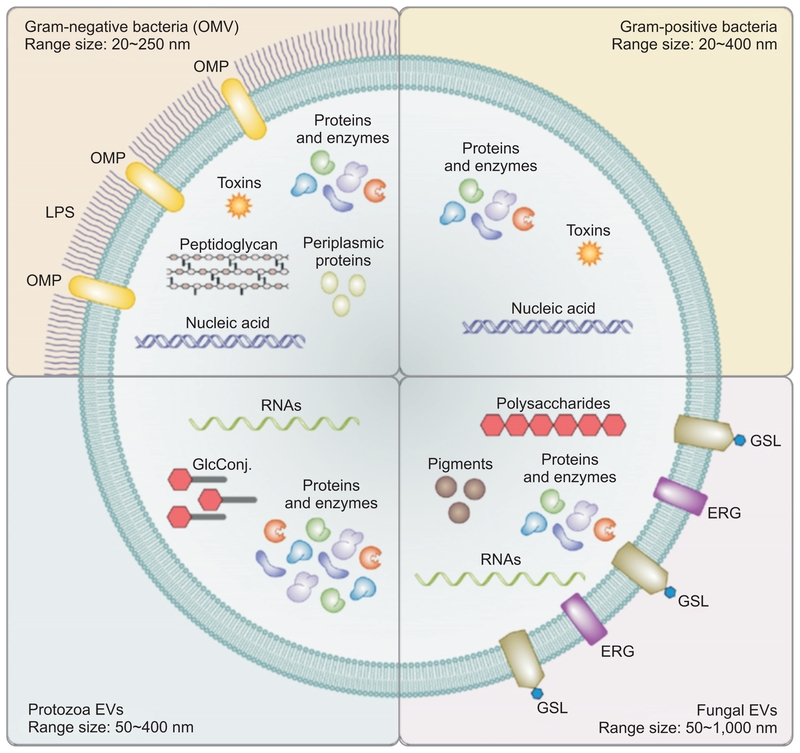 Schematics of extracellular vesicles of microbial cells. ERG, ergosterol; GlcConj, glycoconjugates; GSL, glycosphingolipids; LPS, lipopolysaccharide; OMP, outer membrane protein. From with permission from the publisher.